Project Fi has had a pretty solid week. Earlier in the week it was announced that those with G Suite domains can now subscribe to the MVNO service from Google. Then yesterday, on Twitter, Fi announced that lower cost, mid-range phones will be coming later this year that will support it. This is fantastic news for those who are considering moving from their carrier to Fi as it means that you will have options beyond the Google Pixel and Pixel XL which are currently the only production phones that support it. The Nexus 6, Nexus 6P and Nexus 5X also support it if you can find one and all three are at a lower cost than a Pixel. year but it wasn’t until yesterday that it was actually confirmed. As a Fi user for nearly 2 years now, I can’t speak highly enough about the service. It’s fantastic but the limited number of phones that support it has always been a challenge due to the hardware requirements and the software requirements of working with Fi. For those who haven’t investigated Fi much, let me give you a bit of background. Project Fi seamlessly switches between Sprint, US Cellular and T-Mobile to assure that you have the best signal strength and quality. Sprint and US Cellular are CDMA carriers while T-Mobile is GSM. That means that the phones have to not only have the proper antenna and chipsets, but also have to have software layer that can sort out the switching of antennas. It is not a small task which is why it has been limited to phones that Google controls. They seem to be loosening that up with this announcement. There are, of course, still questions to be answered. First, we don’t know what Google’s definition of “mid-tier price” is exactly. You can probably assume the $300-400 price range. Second, we don’t know who these partners are either. It is a likely bet that Huawei, Moto, LG and HTC are in the mix as they are the companies that have been the manufactures of Google’s Nexus and Pixel devices (with heavy Google control). Finally, we don’t know when later this year is either. If I had to guess, it will be post-Android O which is expected in the September-October timeframe. Regardless, it’s great news for Project Fi and should help grow the MVNO’s subscriber base. 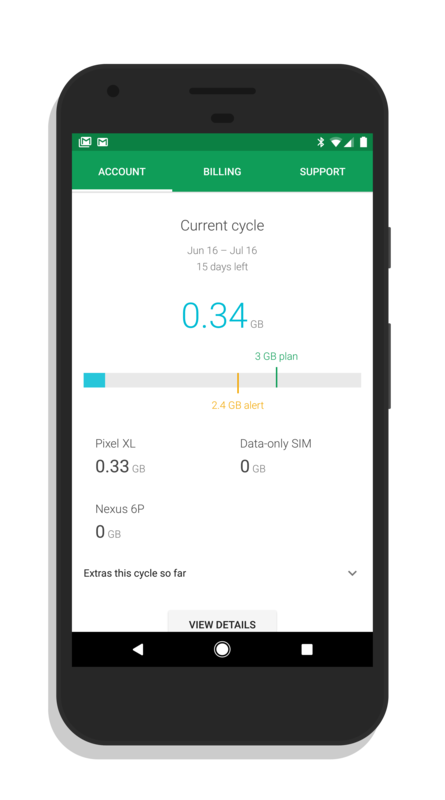 For all the news and information about the service, check out the Project Fi section here on the site. If I had to hazard a guess, I think it’s actually going to be a version of the Nokia 6. HMD global introduced the Nokia 6 at MWC with a Google rep on stage, saying that they were committing to a partnership with Google to present a pure unskinned Android experience. They also committed to on time updates to the OS and security as Google pushed them. (Sounds an awful lot like the Nexus & pixel program). Currently the Nokia 6 is GSM only. However, there is no reason to believe that they couldn’t tweak the Qualcomm Snapdragon chip in the Nokia 6 Arte Black edition to support the bands that Sprint and US Cellular use. (Currently the difference is that the arte black edition bumps the RAM from 3 to 4 Gb and the internal storage from 32 to 64 Gb).. The Nokia are actually set up to be dual SIM, with the second SIM slot also doubling as a microSD slot for expandable storage…so there has to be some sort of network switching layer to the software already. Either by just dumb luck, the current iteration is only fully compatible with T-MOBILE… T-MOBILE has also been very hush hush about them partnering with someone to put out a T-Mobile specific phone that would be a entry-level/mid-tier phone that is always up to date and tradeable for the new model at no cost. The T-Mobile CTO Neville Ray has been seen hanging out with Nokia executives and engineers A LOT recently and leading the charge at 5G and T-Mobile’s new 600 mHz spectrum..
HMD has said something like they plan on releasing something like 10 phones in the Nokia line this year. That’s the Nokia 3,5,6 and 2 flagship level phones (8 & 9), and all we’ve seen in the US so far is 2 variants of the 6..
That’s a lot of coincidences that lead me to believe that a startup (comprised of the pre Microsoft Nokia employees) that is licencing the Nokia nameplate is going to try to make a strong re-entry to the Android handset market with some carrier specific variants very soon. The Nokia 6 by the way was expected to be around $219 and it hit Amazon at $229 ($179 for the Amazon Prime version) and the arte black version is speculated to be around $250 (so I’d guess more like $275, or $299 if it does go GSM/CDMA like I speculate)…which is solidly mid-tier.